Tom Marcus spent years of his life undercover, waging a secret war on the streets against those who want to do us harm. Now, for the first time, he tells the full story of what it is like to live your life in the shadows and who you need to become to survive. 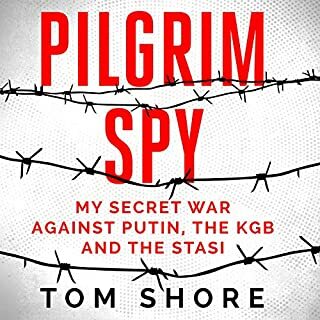 First published in 2016, Soldier Spy was a series of stories from Tom's years in MI5 and has now sold over 250,000 copies across all editions and was a Sunday Times best seller for five months. I Spy takes us even deeper into the ongoing battle to keep us all safe. Twenty years undercover - one man's true story of life as an undercover cop. A must-listen for fans of Donnie Brasco. 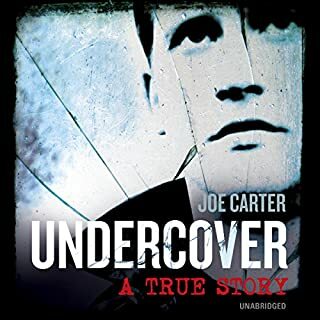 For over 20 years, Joe Carter has worked for the police as an undercover cop. He travelled the globe on different passports. 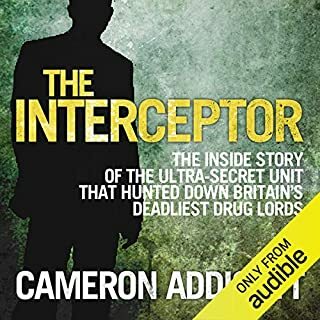 He fraternised with thieves and international drugs and arms dealers. He worked alongside the most dangerous criminals. Always fearing that this life would come crashing down around him at any point. We all have break points to face - at the gym, in the office, in our personal lives - those moments of self-doubt where we have to dig deep, and find something within to grab hold of and push us through. 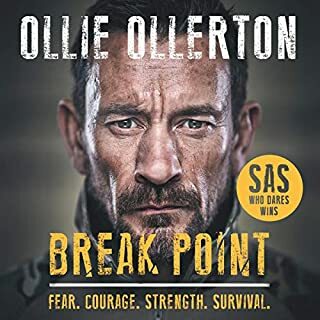 Ex-Special Forces soldier Ollie Ollerton has faced his own break points and now he tells us the lessons he has learnt along the way. 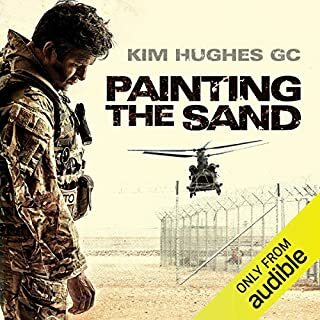 From survivor of a freak childhood attack to elite fighter, Ollie's incredible story features, high-speed shoot-outs, counter-terrorism and humanitarian heroics. 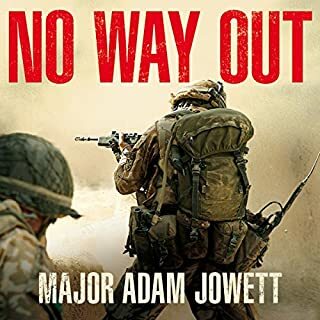 From the best-selling author of Soldier Spy, former MI5 officer Tom Marcus, comes the first in a thrilling new fiction series. Matt Logan is an MI5 agent for the British government. Working on the front line of counterterrorism in the UK, he's trained to protect its citizens against all threats. 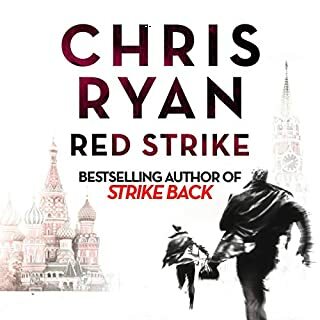 When two brothers known operationally as 'Iron Sword' and 'Stone Fist' are suspected of plotting a major terrorist event, Logan and his team work undercover to track them down. If they fail, an attack will be unleashed that will rock the country to its very core. Frustrated by always needing to obey the rules, Logan yearns for a way to break through the red tape that hinders their progress. His wishes seem to come true when he is offered the chance to join a new, deniable outfit known as 'Blindeye'. 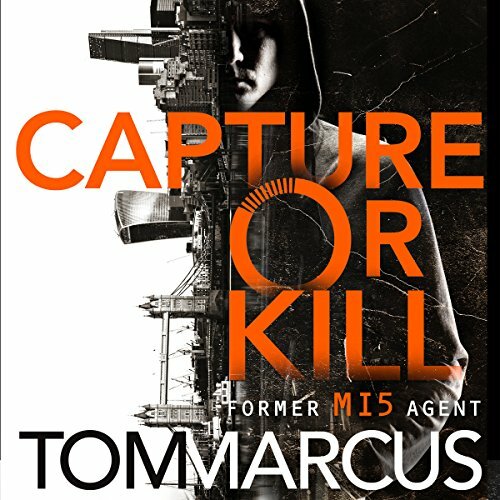 Capture or Kill is the first in Tom Marcus' breathtaking series featuring tortured MI5 operative Matt Logan. 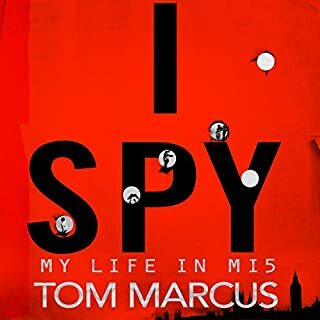 In terms of credentials for writing spook stories few are going to beat ex-MI5 man Tom Marcus. To my surprise in his fictional writing he has chosen a light touch, fast-paced approach to his expertise. You aren't going to find out a huge amount about how MI5 operates here, he's not showing off his undoubted knowledge. Instead he treats us to a fast-paced adventure that is very efficiently written with almost no padding. Written in the first person it follows MI5 agent Matt Logan through a brief but very traumatic adventure. In truth while I enjoyed it immensely because of its very fast pacing, good action and an extremely impressive vocal by Jason Langley you aren't going to find any great character depth or originality here apart from possibly how the climactic scenes work out. Put simply, this is a well put together story of British agents battling jihadi terrorists. But if that's your thing and you like a book that doesn't pull any punches or hang around on street corners discussing the finer points in life you'll likely get a lot of fun out of it like I did. From start to finish the narration draws you in, the detail, the astounding feel had me shedding tears of both anger and sadness. 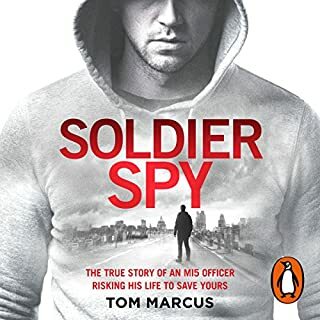 Another great book from Tom Marcus.. Having listened to his first book Soldier Spy, I couldn’t wait to listen to another straight away, however had to wait till this one came out..
A very good story line that keep you on the edge of the seat all the time, or car seat as I’ve listened to it whilst driving.. 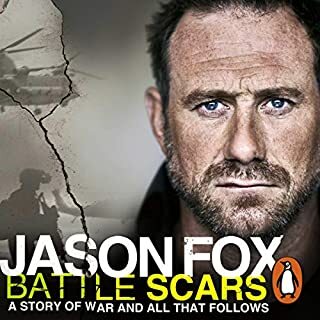 The narrator Jason Langley also does the book really justice, full of energy and enthusiasm. Never a dull moment. Looking forward to your next book Tom.. 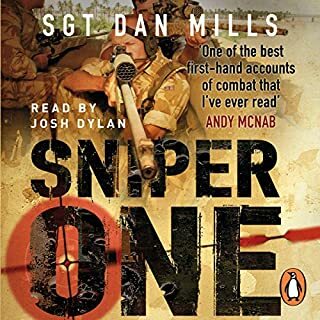 I'm not one for fiction but having listened to Soldier Spy several times I thought it may be worth a shot. 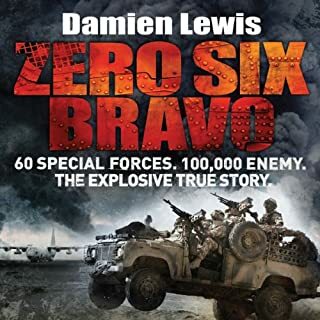 I wasn't disappointed, Tom Marcus has written the book brilliantly and narration by Langley is as good as Soldier Spy. Really enjoyed this listen. As you would expect, plenty of operational details, often small but never insignificant. Always drawing you further into the fight. Willing you to read on. And on. 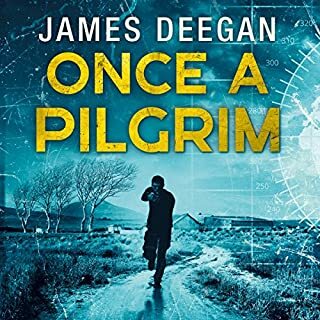 Brilliant writing coupled with first class narration. Highly recommended. 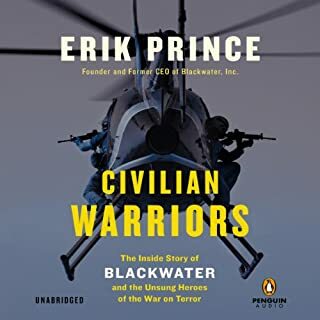 loved it , enjoyed the previous tom marcus audio book. this was also excellent, what makes it so special is the narrator. This book is an excellent follow up from Tom Marcus' first. As an audio book it's fast pace and balance between tension and suspense is superbly delivered by the voice actor. 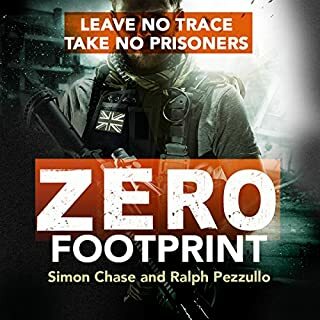 The book provides an interesting insight into what life as an MI5 Surveillance Officer may entail, albeit with the added drama. This book also draws parallels to the biographical nature of Marcus' first where it is likely that some personal experiences were included for depth. Thoroughly recommend and please keep them coming! Much more interesting than a McNabb book! 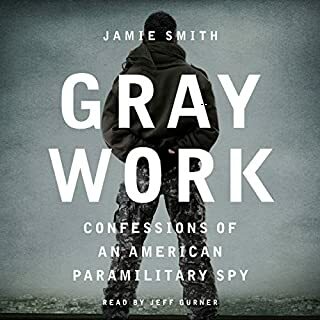 After Soldier Spy, I pre ordered this book and it did not dissapoint. I couldn't stop listening from start to finish. 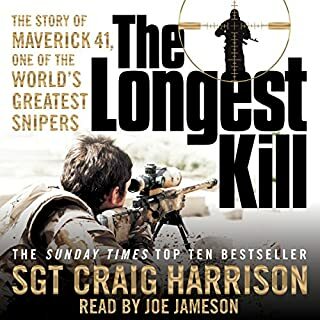 Marcus' obsessive attention to detail and the excellent narration pull the listener into the action so vividly that the book was over far too soon. 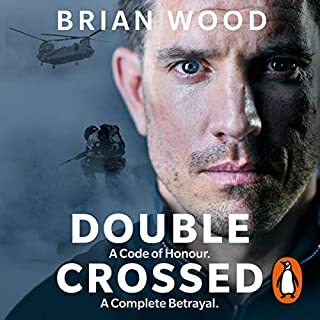 Excellent spy story really brought to life by a brilliant narrator. would definitely recommend and can't wait for the next one! Hurry up please!